Support for the latest Windows 10: Windows 10 Fall Creators Update. Windows is constantly evolving and changing, and we regular update our software to handle these changes. You can now change font for CD-Menu Creator's editor if you want to use another font than the standard font. Different fonts are optimized for different screen resolutions and Windows versions, and you have now the opportunity to choose a font that is optimized for your system. A date field has been added to the Version tab. This new field will be automatically updated with the date of the last creation of the menu. Every time you create a menu, this field will be automatically updated. All binary files that are distributed to end-users are now code signed with an EV digital certificate. This improves the security and reduces the risk for warning messages in Windows. Improved error handling. Some types of errors gives now more detailed information and will let you handle errors that may happen more easily. New menu examples have been included. You can use the menu examples as inspiration for your own menu projects or as basic templates when you create your own menus. Read more. The support for the Microsoft Windows 10 operating system has been improved. Both Windows 10 Anniversary Update and Windows 10 Creators Update are fully supported in the new version of CD-Menu Creator. All binary files that are included in CD-Menu Creator are now code signed using SHA-2. It is strongly recommended to use SHA-2 for binary files that are distributed in February 2017 and thereafter. The security will be improved and the risk for annoying warning messages in Windows is reduced. Read more. You can now create button groups with titles. We have added a new function to CD-Menu Creator 2017 that allows you to place buttons in groups and add titles to the groups. You can use another font, font size and color for the titles than for the buttons. If you have many buttons in a menu this will help your user find the correct buttons faster. Read more. We have added more symbolic icons for the menu window, that you can choose among. The symbolic icons are shown in the upper left corner of the menu window. Wildcard characters can now be used with filenames. This allows you to change filenames for files on discs and USB sticks without re-creating the whole menu. Read more. New menu examples have been included that demonstrates how to use different functions in CD-Menu Creator. You can also use the menu examples as templates for your own menus. Support for Windows 10. With CD-Menu Creator 2015 you can create menu interfaces that can be run in Windows 10 and the CD-Menu Creator editor can also be run in Windows 10. 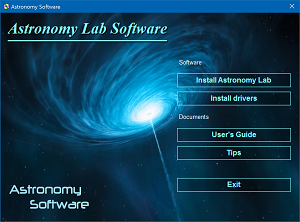 A wizard to create a menu system with a main menu and sub menus has been included in the new CD-Menu Creator 2015. Buttons that open the sub menus and return to the main menu are created automatically. Now it is very easy to create a menu structure with many menu pages. And you don't need to worry about file paths etc. anymore. Read more. Unicode support. You can now create menu interfaces in any language, and you can also mix different languages in the same menu. Advanced written languages as Chinese, Japanese, Thai etc. are supported. The characters in menus will be shown correct regardless of which language the Windows itself uses thanks to the Unicode. Read more. CD-Menu Creator now supports automatic creation of menu interfaces and batch handling. You can now automate creation of menus and build menu interfaces without any user interaction. This allow you to call CD-Menu Creator from a build server to build menus automatically. Read more. Pinterest and Instagram are now supported. The social media functions in the tool has been extended to also support Pinterest and Instagram. They work in the same way as the functions for Facebook, Twitter, Google+, LinkedIn etc. The logotype picture can now be clickable and can for example open a web page on the Internet. A new button command: Open Excel File. We have added a new button command to CD-Menu Creator that can be used to open different kind of Excel files. Read more. Easier access to previous used project folders. If you tend to put your project files in sub folders you will appreciate this new feature. Support for LinkedIn. The social media functions in the tool has been extended to also support LinkedIn. It works in the same way as the functions for Facebook, Twitter, Google+ and YouTube. Supports the OpenType font format. We have improved the encryption functions. Files linked to buttons can be encrypted and automatically (and temporarily) decrypted when a user clicks on a button. This will prevent that somebody copies the files from the CD/DVD or USB flash drive to his/her hard disk or other storage device. A new button command has been added: Open Picture Gallery. This command opens a picture gallery window that shows all pictures in a folder on the CD/DVD or USB flash drive. The pictures are clickable and by clicking on a picture the picture will be shown in its original size. It is also possible to make the picture gallery to open another file type instead of the picture when a user clicks on the picture; for example a video clip. Read more. The menu template gallery has been extended with new templates. You can now choose between 50 different menu templates. Read more. New menu examples have been included. Read more. Support for social media like Facebook, Twitter and Google+. Logotypes for Facebook, Twitter and Google+ can be added to a menu interface and when a user clicks on a logotype, the corresponding social media page is opened in the user's web browser. Read more. Support for YouTube. You can add a clickable YouTube logotype to a menu that opens your video channel on YouTube, if you have such one. Works in the same way as the logotypes for Facebook etc, as described above. A Metro style menu interface can now be created, that resembles the design style that is used in Windows 8. Read more. A menu interface that only contain clickable icons can now be created. Read more. A new graphical button style has been added: Plastic Buttons. This style can be used to create beautiful menu interfaces with a very modern design. Read more. A menu interface can now contain more than two columns with buttons. You can now have so many columns that you want. There is no upper limit. A new button command has been added: Return To Main Menu. By using this command the end-user can return to the main menu (first level menu) regardless of how many sub levels of menus your project contain. This gives the users an easy way to open up the main menu. Graphical arrows can be included in menu buttons that open other menus. This makes it easier to differ commands that open files etc. from commands that open other menus. Read more. 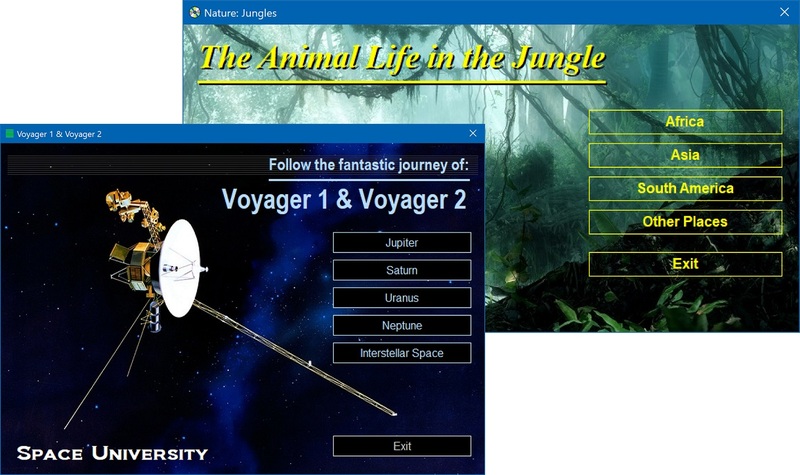 A template gallery has been added to CD-Menu Creator 2012. By using the template gallery you can in an easy way choose a basic design style for your menu, that you thereafter personalize. This simplifies a lot when creating stunning menu interfaces. Read more. You can now in an easy way choose if your Microsoft Word (.DOC) files should be opened with WordPad or Word. We have included a new options that let you choose. Co-operates with USB AutoRun Creator. By combining USB AutoRun Creator with CD-Menu Creator you can create AutoRun menus also for USB flash drives. More than 10 new menu examples have been included. They demonstrate different button styles and design styles in CD-Menu Creator. Read more. Support for 64 bit Windows. Both the CD-Menu Creator editor and created menus can be run in 64 bit Windows, for example 64 bit versions of Windows Vista and Windows 7. The menu interface program that is distributed is now code signed. This will make it easier to use the menu in restricted environments where all applications must be code signed to be able to start. A menu can be partial transparent. The transparency level can be adjusted. Fade effects have been added. A menu can "fade in" from nowhere on the screen. You can specify how fast the menu will fade in to the screen. Files can be encrypted and protected with passwords. When a user clicks on a button linked to a protected file CD-Menu Creator will ask for a password. The user can only proceed if he/she enters a correct password. This new function in CD-Menu Creator 2010 can be used to protect programs, documents, spreadsheets, databases etc. Read more on this page. A new variable, %ENTEREDPASSWORD, has been included. This variable co-operates with the password functions described above. The variable can for example be used to send the password to a program linked to a button as a command line parameter. A user's guide in PDF format is included. A navigation tree and hyperlinks in the text makes it's easy to navigate among the pages in the manual. You can preview the user's guide by clicking here. Supports now Flash animations. Adobe Flash animations can be played in a window in CD-Menu Creator. No external program or web browser need to be run or distributed with the menu. Same Flash animation that is shown on the Internet can also be shown in a menu. The size of the menu window can now be set to the size you wish by using the mouse. Buttons, pictures, logotype etc are automatically moved when you size the menu. So you can now find, quick and easy, the most appropriate menu window size. - Buttons with cylindrical color blend. Read more on this page. - Button with rounded corners that contains different kinds of color blends. The number of button styles has been increased from 14 to 24 since CD-Menu Creator 2007. Read more on this page. Light effects can be used with buttons. By using this new effect you can create buttons that seems to be made of blank metal, for example gold and silver buttons. Now you position a button, and a picture, where you want in a menu window. Instead of a text title you can now have a graphical title (a picture as a title), if you want. You can for example create a cool title in a drawing program, with lot of effects, and then use it as a title in a menu created with CD-Menu Creator. You can also place a background picture behind a text title created with CD-Menu Creator. Supports now Asian script languages like Japanese, Chinese etc. Now you can choose if you want to play a movie in Windows Media Player or play it directly in a menu. A new variable, %SRCDIR, has been included. This variable contains the full path to the folder where the menu shell program is run. This parameter can for example be used when calling another program and the path to the menu program folder must be passed to the program that is started. Microsoft has removed the support for Word files (.DOC) in WordPad in Windows Vista. If you have linked a Word file to a menu button, CD-Menu Creator 2007 always tries to use Microsoft Word or compatible program in Vista to open the document, although you have instructed the menu shell to use WordPad. In Windows XP everything functions as before, the new behaviour only occurs in Windows Vista. Some graphical effects as glass effects, shadows and transparent bitmaps didn't worked as expected in Windows Vista because of changes in Vistas graphical environment. CD-Menu Creator 2007 has been updated so these effects also function in Windows Vista without problem. If you tried to start a program that requires administrator privileges (as most installation program requires) an error information box with the message "The program can not be run..." was often showed. The reason to this was that CD-Menu Creator couldn't handle the new User Access Control dialog box that is shown in Windows Vista when a program must be started with administrator privileges. The new CD-Menu Creator 2007 now handles this in a proper way. An other method is used when programs are executed. Non-standard fonts that was used to text in menus couldn't be shown in Windows Vista. The reason was that CD-Menu Creator didn't had necessary rights to install the fonts. The CD-Menu Creator menu shell runs with standard privileges and installing fonts requires administrator privileges. In the CD-Menu Creator 2007 an alternative method is used, the fonts are installed temporary and only local. This is allowed in Windows Vista also for programs running with standard privileges. So with the new CD-Menu Creator 2007 you can use your own fonts also in Vista. The Show a menu only one time option (chosen via Window - Advanced button) has been updated to co-operate with programs that is run with standard privileges in Windows Vista. A manifest file is always placed in same folder as a menu. The manifest tells Windows Vista to run the menu with correct privileges and prevents Windows Vista from believing that the menu shell program is a setup program. The manifest also gives some of the controls that is used in a menu a "Vista look". If the VirtualStore handling was turned off in Windows Vista some of the features in CD-Menu Creator 2006 or older didn't worked. For example, preview of menus didn't worked and options couldn't be remembered to next program start. The new CD-Menu Creator 2007 has been updated so all features function also when VirtualStore handling is turned off in Windows Vista. You can add your own action item (your own text row) to the AutoPlay dialog box in Windows Vista. If the user chooses your item, the menu is launched. It is also possible to add your own title to the AutoPlay dialog box. The help documentation in CD-Menu Creator 2006, and older, didn't function in Windows Vista. The reason to this is that Microsoft has removed the support for the WinHelp system that was used in CD-Menu Creator before. In CD-Menu Creator 2007 a new format is used: compiled HTML help. All help documentation in CD-Menu Creator 2007 now uses this new system. Compiled HTML help can also be shown in Windows XP and older Windows versions. A new button style, with the name Windows Button, has been added. It replaces the old Gray Button, that has been removed. 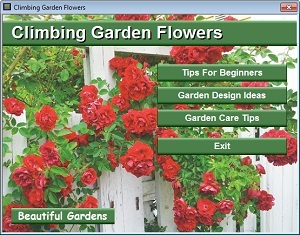 This new button is painted using a graphical design that is typical for the Windows were the menu is shown. For example, in Windows Vista the active graphical effects that is typical for Vista buttons is used. In Windows XP, the buttons is painted using the smooth color blend that is typical for Windows XP buttons. %DATECREATED : Outputs the date when the menu was created. %COMPANY : Outputs company name (the text is retrieved from the Version tab). %PRODUCTNAME : Outputs product name (the text is retrieved from the Version tab). %PRODUCTDESCRIPTION : Outputs product description (the text is retrieved from the Version tab). %VERSION : Outputs version number (the text is retrieved from the Version tab). A menu for a USB flash drive can now be created. It works in similar way as menus for CD/DVD. When the user inserts the USB flash drive in a USB port the menu is shown immediately after that the user has confirmed a start by pressing OK or Enter. In Windows Vista it is possible to have the USB drive menu completely autostarting. Read more about this new feature on this page. CD-Menu Creator 2007 is adapted to function in systems where Internet Explorer 7.0 is installed. The new Internet Explored 7.0 affected some functions in CD-Menu Creator in a negative way, for example the character interspace function, but the new CD-Menu Creator 2007 has been updated so it can co-exists without problem also when Internet Explorer 7.0 is installed in a computer. The help documentation is now in the HTML format. A tree based index makes it very easy to find a specific chapter or page in the documentation. But the local help (press F1 to get help in a dialog box etc) is still there, as before. A list of features that were added to CD-Menu Creator 2006 and earlier versions can be read on this page.